Here’s this week’s digital first news summary for the week ending 12/16/11. This week’s update on digital, social and mobile includes how advertisers and consumers who focused on the 2011 Thanksgiving weekend holiday shopping kickoff enthusiastically turned to local newspapers and advertising preprint inserts for information on the best deals. Digital news investments beginning to pay off Media companies McClatchy and Media General, which are seeing their focus on online content starting to pay off, are speeding up their investments in digital media. How newsmedia companies can sell mobile to advertisers Many newsmedia companies now have their consumer revenue/subscription services set up or at least are in the process of doing it. So, what’s the next focus for the business? Groupon Now Lets Users Book Appointments Groupon launched a pilot for a new service Wednesday that lets customers independently book appointments with small businesses online, regardless of whether or not those appointments are associated with a Groupon deal. Tablets and Smartphones Become Holiday Shopping Assistants This holiday season, consumers are consulting mobile devices for help checking off items on their shopping lists more than ever before. Google’s Currents app falls short While Google Currents is superficially similar to other news-reading apps, there are some important differences that make GigaOm’s Mathew Ingram wonder whether Google really understands how media has changed and is changing. Google Launches Currents App With Over 150 Publishing Partners Google makes another move into the content space, debuting its Google Currents app for Android and Apple mobile devices. Under Fire, Amazon Says Kindle Fire Is Getting An Update Within Two Weeks Several weeks into the U.S.-only sales debut of the Kindle Fire, and Amazon (NSDQ: AMZN) has been facing up to mixed reviews for the tablet, with at least one notable usability expert as well as everyday consumers downright critical of the device. Should retailers feel threatened by Amazon’s new price comparison app? Retailers are unhappy with Amazon’s price check app because it has the potential to eat into their margins and even funnel off sales. Digital Media Consumption Up 7.7% Digital media consumption is rising, yet more research shows that traditional TV usage continues to grow. Paton: Time To ‘Step Forward’ In New Media Traditional newspapers are taking steps to fix the industry’s “broken” model by changing the way they relate to their communities, two forward-thinking newspapermen said Monday at the BIA/Kelsey’s ILM West conference here. Time Spent On Mobile Way Ahead Of Ad Dollars Spent On Mobile People spent 30 percent more time on their mobile devices over the last year than they did the year before, and also spent more time on mobile than they did on newspapers and magazines combined, according to new research from eMarketer. Newspaper Thanksgiving Day Editions Set Records Advertisers and consumers who focused on the 2011 Thanksgiving weekend holiday shopping kickoff enthusiastically turned to local newspapers and advertising preprint inserts for information on the best deals. Facebook Makes Up 52% Of Sharing On Web According to AddThis data, Facebook accounts for 52.1% of sharing. Given the size of AddThis’ data set, that number’s probably a solid proxy for sharing across the entire web. Low-Priced Devices Could Spark Tablet Boom A recent Nielsen survey found the Apple iPad is the most wanted gift for kids ages 6 to 12. Some have even taken their appeals to YouTube. 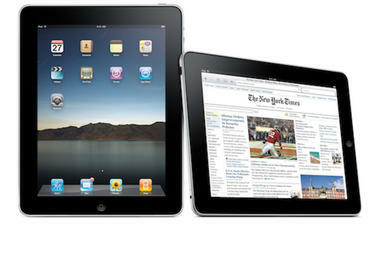 But if an iPad isn’t in the budget, there are some 30 other tablets out there to choose from. PayPal Pitches for its Share of the Daily Deal Pie The fact that PayPal is planning its entry into the daily deal space in the first quarter of 2012 should not come as a surprise to anyone.The fact that PayPal is planning its entry into the daily deal space in the first quarter of 2012 should not come as a surprise to anyone. Newspaper Digital Audience is Younger, Wealthier, Better Educated The assumption has been that the newspaper’s digital audience is younger, more affluent and better educated than print. Now, a recent Pulse Research national survey shows just how distinct and compelling newspaper’s digital audience is. Print’s Best New iPad Apps of 2011 This year’s best new iPad apps by U.S. magazines and newspapers came from a diverse group of publishers, including a serious business weekly, a monthly about easy-to-prepare meals, beauty and fitness titles and three metro dailies. Only 5% Americans Online Use Location Apps Like Foursquare Even though awareness of the entire category of check-in location-based mobile apps is growing among U.S. online adults with mobile phones, usage just isn’t, according to a new report from Forrester Research. Smartphone Penetration Nears Tipping Point Smartphone penetration is slowly approaching the tipping point where it will be more common to have a smartphone than a feature phone among the general population.